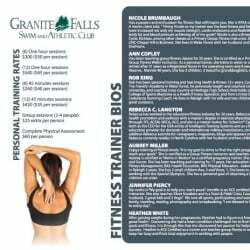 This brochure was designed for Granite Falls Swim And Athletic Club, a local Wake Forest swim and athletic club. 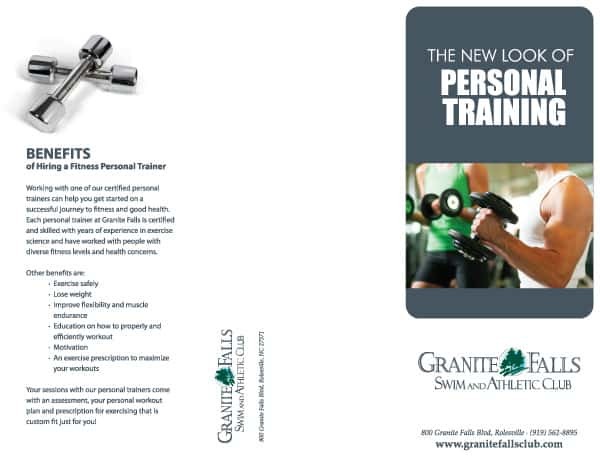 They needed a great brochure design to give potential clients to help their business marketing. 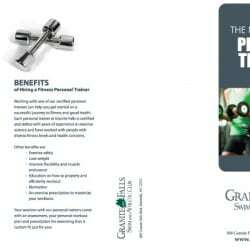 They needed a new brochure that they could easily print themselves. We made sure it did not have bleeds, where the ink runs off the edges of the paper. 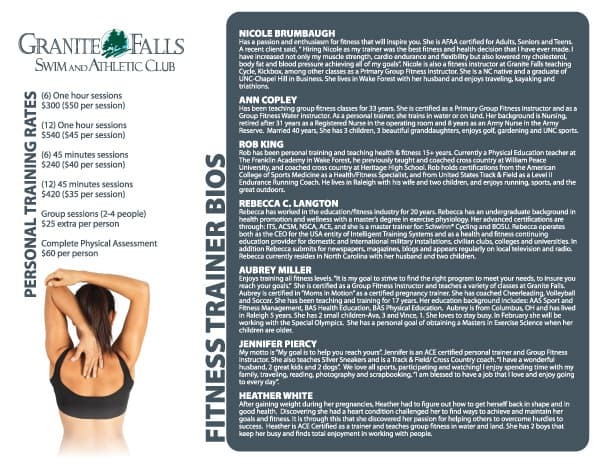 They also needed a listing of their fitness trainers with their bios to give to prospective clients.